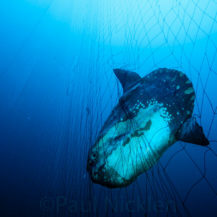 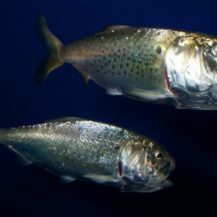 250 million menhaden! 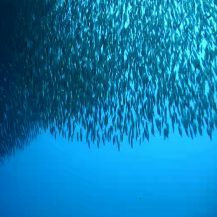 That’s the estimated number of these vital forage fish left in the water in 2013 to feed Atlantic striped bass, bluefin tuna, osprey, whales and myriad other marine animals, because of a new east coast menhaden conservation program that took effect last year. 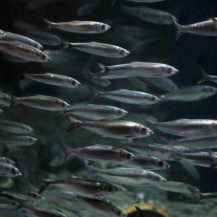 The Atlantic States Marine Fisheries Commission reported at its Spring Meeting that 2013 landings of Atlantic menhaden were 25% below the total catch for 2012. 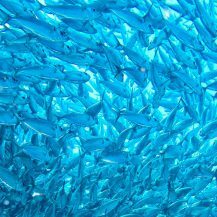 “That means 56,602 tons of menhaden that otherwise would have been caught and landed in commercial fisheries were instead allowed to serve their essential role as prey in the ecosystem,” said Wild Oceanspresident Ken Hinman, a member of the ASMFC’s Menhaden Advisory Panel. 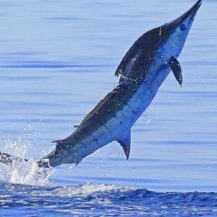 He said the commission, including all its 15 member-states, deserves credit, first for adopting the new, conservative catch limits and just as importantly, for coming together to keep the fishery within its first-ever coast-wide quota. 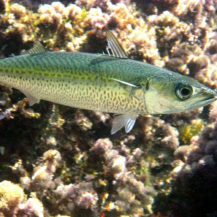 With implementation of the catch limits, now in their second year, the commission is looking ahead to the results of a new stock assessment, due in early 2015, and next steps toward meeting its long-standing commitment to establish an ecologically-based target population of menhaden to balance fishing and predator needs long into the future.